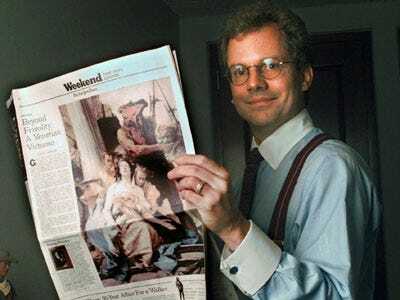 We heard whisperings back in early February that David Perpich, the nephew of New York Times publisher Arthur Sulzberger Jr., was leaving his post at consulting firm Booz & Co. and joining the Times to help build its paywall. Now, according to the company’s annual proxy statement, Perpich has been hired as an executive director of paid products for nytimes.com, as the Wall Street Journal points out. He is the latest of a growing group of fifth-generation family members to join the company. Carolyn Greenspon recently was nominated for a seat on the board. Samuel Dolnick last fall became a reporter on the metro desk of the Times, joining his cousin and fellow reporter A.G. Sulzberger, the publisher’s son. Perpich is considered one of the brightest of the young Times heirs. He’s a Harvard M.B.A. who had an internship at the Times’ About.com before he joined the management consulting firm. He also helped operate the New York-based Scratch D.J. Academy, a training school for aspiring spinners.